The must-have for sporty kids! Finally for children too - The iconic leisure leather pants: So even the youngest ones can go for a swim in the Lederhosen! 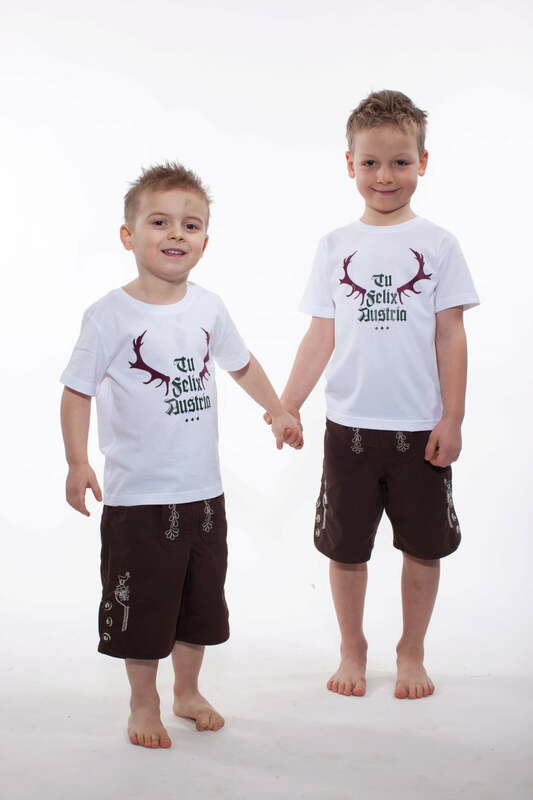 Tu Felix Austria Men's T-​Shirt White -​ "Horn Wine Red"
Tu Felix Austria Body "My First Lederhose"
Tu Felix Austria Baby Dirndl "Green Deer"